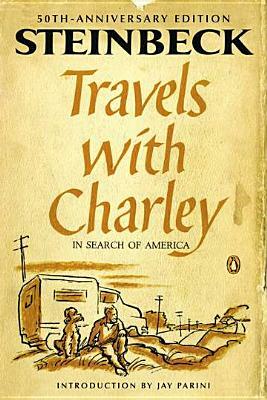 Travels with Charley in Search of America is an intimate look at one of America's most beloved writers in the later years of his life—a self-portrait of a man who never wrote an explicit autobiography. Written during a time of upheaval and racial tension in the South—which Steinbeck witnessed firsthand—Travels with Charley is a stunning evocation of America on the eve of a tumultuous decade. This Penguin Classics Deluxe Edition also features French flaps and deckle-edged paper. John Steinbeck (1902–1968) was born in Salinas, California. He worked as a laborer and a journalist, and in 1935, when he published Tortilla Flat, he achieved popular success and financial security. Steinbeck wrote more than twenty-five novels and won the Nobel Prize in 1962. Jay Parini teaches English at Middlebury College and is the author of five novels, including The Last Station. He lives in Vermont.